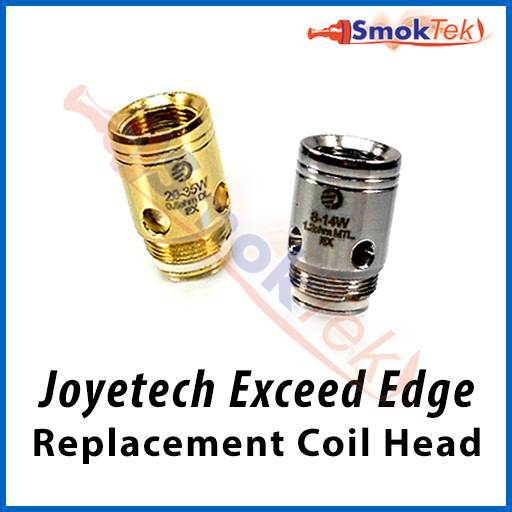 These replacement coil heads are designed for the Joyetech Exceed Edge. 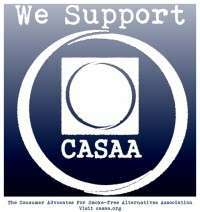 Try different styles of vaping! 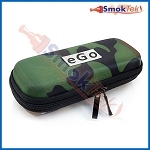 The EX coils support mouth to lung (MTL) or direct lung (DL) vaping, so you can find your preferred style of vaping. 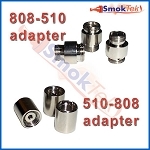 MTL coils aim to replicate the tighter draw of taking a puff on a cigarette. 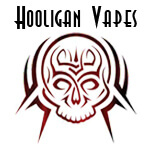 DL coils enable increased vapor production, so they'll yield bigger clouds of vapor. 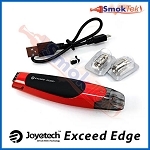 To change the coil on your Exceed Edge, begin by pulling the cartridge off the battery. Make sure the cartridge is empty. Unscrew the knurled metal base on the bottom side of the cartridge and then unscrew the used/old coil head. Screw in a new coil head. 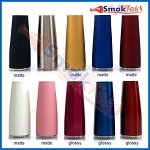 We recommend "priming" the coil by dripping a few drops of e-liquid onto the exposed cotton inside the coil. Screw the knurled base with its freshly installed coil head back onto the cartridge. 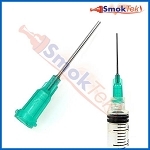 Next, fill the cartridge with e-liquid by gently pulling out the silicone stopper covering the side-fill port. Please note that only the indented bottom part of the stopper should be removed - do not attempt to remove the whole silicone stopper. Please do not over-fill the cartridge - about 80% full is best. Once full, insert the silicone stopper back into the cartridge, ensuring it's sealed securely to avoid accidental leaking. 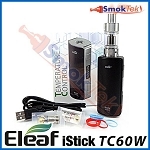 Set the cartridge aside for a few minutes to allow the coil to become fully saturated with e-juice. 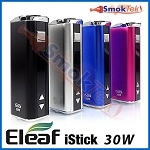 This step helps minimize the chances of "dry burning" the new coil. Priming any new coil before filling will help speed this process up. 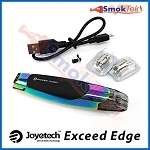 To begin vaping, simply slide the cartridge back into the Exceed Edge battery. Make sure your device is turned ON, then press the firing button on the front of the device with each inhale - release the button when you exhale. 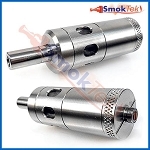 Price is for a single (1) coil head. 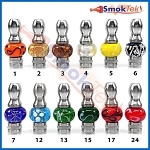 Get a Quantity Discount when you buy 5 or more coils - view "Quantity Pricing" in the menu above. When using a new coil, we recommend "priming" it by dripping a few drops of e-liquid onto the exposed cotton. We also recommend setting the cartridge aside after filling for a few minutes to allow the wicking material to absorb some of the e-liquid - this will help prevent it from burning when you fire the battery. 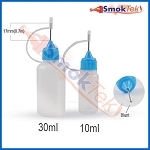 Do not over-fill the cartridge with e-juice - ~80% full is ideal. Make sure the silicone stopper covering the side-fill port is inserted properly after each re-fill to avoid leaks. Avoid allowing the cartridge to get to less than 1/3 full with e-juice to avoid accidentally dry-burning the coil inside. 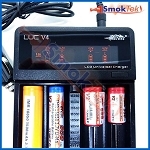 The lifespan of your coil is dependent on frequency of use and type of e-liquid used. 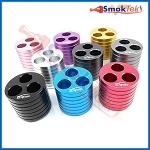 As the coil wears down, it may begin to leak, and flavor and vapor production will noticeably decrease. 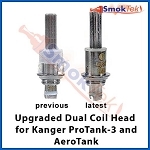 Replace the old coil with a new one if available. Please note: Due to the nature of this item, we cannot offer warranty, exchange or returns except if DOA.